Otto Porter scored 13 points and Bradley Beal added 11 but the Wizards dropped their first preseason game of the year to the Knicks 124-121 on Monday night. John Wall scored six points to go along with just one assist in his limited play and Kelly Oubre Jr. scored 15 points as the Wizards faithful got their first glimpse of this season’s team. Yes, it was a preseason game but that didn’t keep things from getting chippy early. Just minutes into the second quarter, Markieff Morris and rookie Mitchell Robinson went chest to chest after a made free throw resulting in both players getting technical fouls. Seconds later as the teams were lined up to shoot free-throws, Morris started chirping at Robinson again, resulting in his ejection just 12 minutes into his first action of the season. After a sloppy 1.5 quarters of basketball, the Wizards finally caught their stride; aided by three-pointers from Bradley Beal and Otto Porter as Washington ended the half on a 14-4 run taking 62-57 lead into halftime. No starter played more than 21 minutes, which gave guys like Troy Brown, Devin Robinson, and Thomas Bryant opportunities to get some run in the second half. The trio combined for 15 points and were the main reason the Wizards were able to claw their way back into this one with the starters out in the second half. The Wizards had a chance to win the game in regulation but Jordan McRae turned the ball over on the final possession. Then, Washington had a chance to extend the game on the final possession of the first overtime, but Thomas Bryant missed a three that would have evened the score. Everything about Wall’s game is going to be closely examined early on, specifically, his health. Wall only played 9:26 minutes tonight and never really got a chance to get out in transition but looked fine on his rehabbed knee. He ended the night with 6 points on 2-of-4 shooting to go along with one assist in his brief action. All of Wall’s points tonight came on drives to the hole where he’d make the basket and get fouled. He bulked up in the offseason and was able to finish under control and in traffic in knocking down his only two shots on the night. His only misses of the night came on two 3-point attempts which never really had a chance but regardless, everything we saw in his brief appearance tonight showed that he looks 100 percent healthy. Scott Brooks teased us for a minute in the first quarter playing Wall, Beal and Rivers at the same time letting fans getting a glimpse of a potential three-guard lineup that he might turn to down the road. But more importantly for Rivers and the Wizards, he was able to create his own shot off the dribble and for others. It wasn’t pretty, but in the first half, Rivers was able to get to the rim or close to the basket for an easy shot close in. In the second half, Rivers was successful in taking his man off the dribble, getting into the painted area, and making the right pass to a cutter or a teammate out on the wing. It was just one game, a preseason one at that, but Rivers’ ability to get into the painted area and make the right decision was a very welcomed sign and something the Wizards have been looking for in a player off the bench in quite some time. The Wizards were one of the best teams in the league last year when it came to knocking down the 3-ball. The issue? They ranked in the bottom-third of the league in three-point attempts. Scott Brooks has been begging this team to take more three-point attempts and it looks like Washington has finally received the message. Porter didn’t miss a beat from last season knocking down 3-of-5 attempts from deep. But outside of Porter, no one else on Washington shot the long ball effectively. 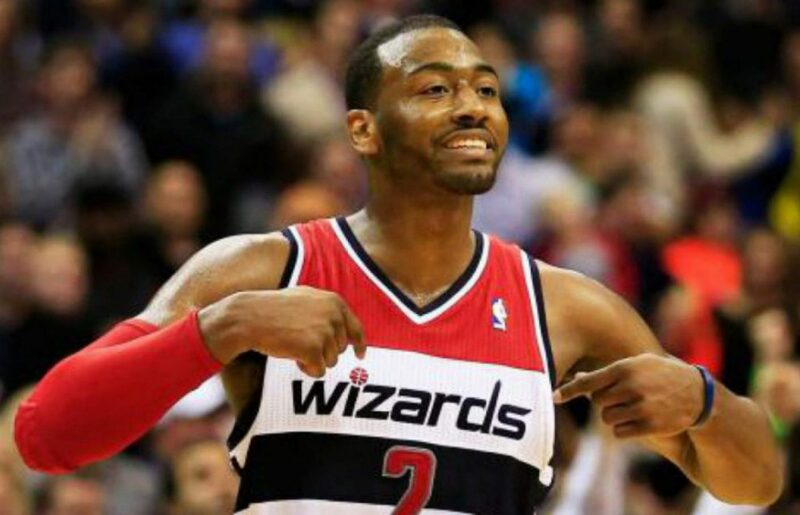 The Wizards hoisted up 21 threes in the first half and 38 for the game although they only knocked down eight. This is something to definitely keep an eye on going forward. Hell, Ian Mahinmi even got in on the fun. The Kelly Oubre experience was on display tonight. He was aggressive in attacking the hole but far too often put his head down and tried to take the defense 1-on-2 instead of making the right play. The teams combined for 41 fouls in the first half and 83 for the game. Hey, it’s preseason for the refs too. Next up: Washington returns to action on Friday night as they host the Miami Heat at 7 pm Eastern Time at Capital One Arena.